From ancient cave paintings to the GPS, maps have been essential tools to help us define, explain and navigate the world. They help us visualize complex topographies, save time by providing the most direct route and decrease risk by highlighting hazards. Maps help us maximize the probability of safely reaching our destination on time. 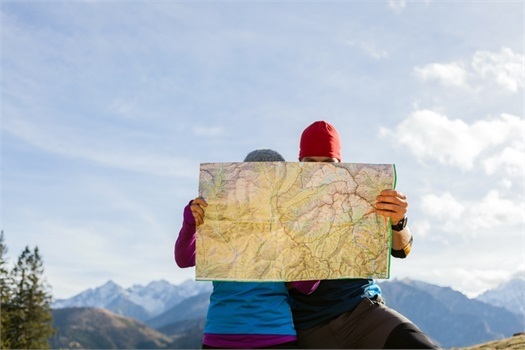 Your Financial Plan is a custom map we create together, with you, to maximize the probability of achieving your goals on time. We begin by gathering information on your estate, your family, your goals and your concerns. Next, we share with you our perspective on where you are today, future major milestones, and optimization of government programs (Social Security, Medicare, CSRS/FERS benefits). Then together, with you, we create realistic future goals. Once goals are established we will plan for three contingencies – base case, best case and worst case – to ensure that your loved ones are protected should the worst happen, and you do not run out of money should the best case happen. Finally, we will prepare for you a comprehensive plan illustrating what we recommend. The financial plan then becomes a living, breathing document. It’s our map that we maintain and update as life changes so together we can make smarter financial decisions with confidence.